Minimum quantity for "Wire Power Panel Wing, Silver Metal, WPP-57" is 1. 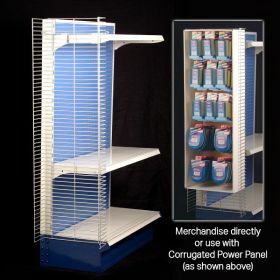 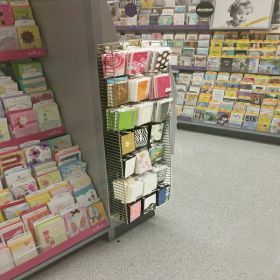 The WPP-57 is a very popular item seen on the "sides" of end caps in most retail stores that utilize gondola shelving displays or other similar metal racking. The term "sidekick" comes from the fact that it sits on the side of the endcap, sometimes flanking both sides. Wire power panel wings are either merchandised on directly with power panel hooks or in conjunction with a corrugated power panel tray. 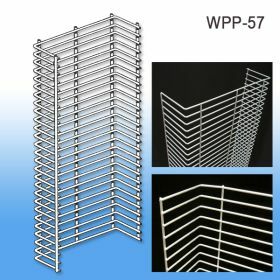 This is the standard sized wire power wing, Clip Strip Corp. keeps them in-stock, ready to ship.